The mission of our West Kelowna dental office is to provide the finest comprehensive and innovative dental care in the Westbank region and to foster an atmosphere of trust and respect between our dentists and patients to create an overall positive experience. Our dental health strategies will provide for reconstructive and preventative dental services for our patients who desire optimum dentistry and care. By using only the highest quality materials and techniques, we will provide the best possible function while maintaining beautiful aesthetics. Sensing, serving, and satisfying the needs of our West Kelowna dental patients with great pride and enthusiasm will be our constant goal. We will strive to attract Westbank dental patients that are willing and actively seeking our advice, counsel, and treatment when properly educated as to its value. We will take the time to establish quality patient relationships based on mutual respect and responsibility. As a result, our patients will appreciate and prize the excellent dentistry we provide and become missionaries for our practice. Only the best staff will do for our West Kelowna dental patients. These are dentists and dental care professionals who are excited about what they are doing and motivated to achieve quantifiable results. Team members will be empowered to make decisions at the point of responsibility when an understanding of our philosophy and appropriate skills are acquired. An individual’s responsibility always exceeds a specific job description. Personal initiative, often achieved by motivating and working with others, is the foundation upon which Westside Dental Centre is founded upon. Our Westbank team recognizes that our patient’s needs are ever changing. Our commitment to staying at the cutting edge of dentistry assures our patients the highest quality care. This strong commitment to change is paramount to our personal and professional growth and development, and will provide the catalyst for our evolution. Our Westbank dental practice will provide support, feedback, and leadership to promote growth and long-term commitment from each employee. Our West Kelowna dental office expects to have every employee achieve his or her full potential. The practice will provide inspiration, encouragement, and set high standards so that the patient care and dentistry provided is always above expectations. A safe and comfortable environment will be created where people enjoy coming to work because we believe in a dream, serve to care and lead to excellence, so will we taste success. Poojan was born and raised in Calgary, AB where she attended the University of Calgary for her undergraduate studies. 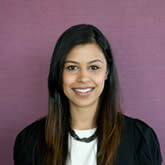 Dr. Rai was then admitted to the University of Manitoba Dental program in Winnipeg and graduated in 2010. After graduation Dr. Rai moved back to Calgary. Calgary was home to Dr. Rai, her husband Vijay and their yorkie poodle Sebastian for a year before Dr. Rai and her family moved to Grande Prairie for two years where both were able to further grow their careers. Dr. Rai then discovered the beautiful Okanagan and jumped at the chance to purchase and build her state of the art practice in Westside Dental Centre. West Kelowna is now home to Dr. Rai, Vijay, their son Krish, and Sebastian (who you will see at the clinic from Monday to Thursday). Dr Rai now tries to take full advantage of what the beautiful Okanagan has to offer from biking, spending time at the lake, wine tasting to even learning how to down hill ski (even though she is terrified). Dr. Poojan Rai is member of the British Columbia Dental Association, the Canadian Dental Association, the AAID (American Academy of Implant Dentistry), and SPEARS study clubs. Dr. Rai believes in long term conservative solutions for her patients and has invested in much of the latest technologies in her clinic to provide the best care for her patients. She is also a strong believer in continuing education and professional development. She has taken over 750 hours covering a variety of topics especially implant dentistry. 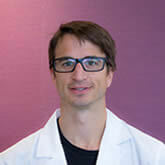 Dr. Clarke grew up in Saskatoon, SK where he received his Honours degree in Biochemistry. He then pursued his Doctor of Dental Medicine degree at the University of Sydney. He took advantage of studying abroad by learning to surf, working on his tan, and traveling to different countries. Brendon escaped the harsh cold prairies in 2008 and has called the beautiful Okanagan home ever since. In his spare time he can be found running year round, in the winter snowboarding and in the summer golfing, boating and swimming. Dr Clarke is a member of the British Columbia Dental Association, the Canadian Dental Association, and the Australian Dental Association. He also volunteers his time at the West Kootenay TEETH Clinic, a not for profit low cost dental clinic and has volunteered with the Tzu-Chi International Medical Association. Dr Clarke believes that prevention is the key to excellent long term oral health. He is dedicated to providing the highest quality dental care to his patients and he makes it a priority to ensure that his patients have a comfortable and relaxing experience at Westside Dental Centre. Fill in the form below to request an appointment, and we will get back to you right away. © 2017. Westside Dental Centre. All Rights Reserved.